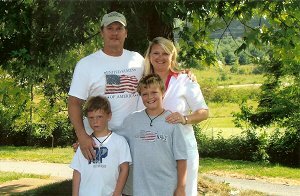 Laura Roberts received her Bachelors and Masters degrees in Science Education from Western Carolina University and began teaching at Enka High in 1987. She holds National Board Certification in Science and currently teaches Biology, Anatomy and Physiology, and the Teacher Cadet courses as well as coordinates the Teacher Intern Program. Laura is a Teacher Cadet Cadre member, training other teachers across the state in the Teacher Cadet Curriculum. She currently sponsors the Enka High Future Teachers of America and Junior Civitan Club. Mrs. Roberts lives in Asheville with her husband and two sons. Laura Roberts holds a Masters Degree in Science Education from Western Carolina University and is a 30 year veteran teacher at Enka High School. She has her National Board Certification and spent 15 years working with the Summer Ventures Program at Western Carolina - a program that allowed high school students to experience scientific design and implementation at graduate level standards. Laura has written Biology curriculum for the county-wide credit recovery program as well as the Anatomy and Physiology Standards for Buncombe County. She was certified and began teaching the Teacher Cadet Curriculum in 2004 and became a part of the Teacher Cadet Training Cadre in 2008. She currently teaches Biology, Anatomy and Physiology, and the Teacher Cadet courses as well as coordinates the Enka High Teacher Intern Program. For the last six years she has been involved in designing the curriculum, coordinating, and facilitating the lessons for the summer S.T.E.M. Camp -a collaborative activity involving Buncombe County Schools and Eblen Charities. She sponsors the Senior Class, the Enka High Future Teachers of America and the Enka High Junior Civitan Club. Mrs. Roberts lives in Asheville with her husband and two sons.